We have a 6 step cleaning process that completely removes dirt, dander, stains, and spots, but is so gentle that even delicate rugs are safe. 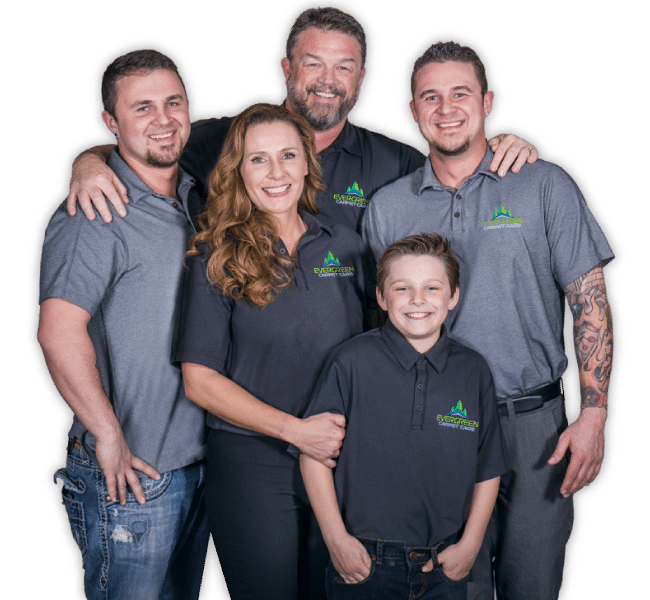 Dale and Nicole Carter first started developing Evergreen Carpet Care in Truckee, California in 1997. It has been family owned for over 20 years. The original days of the company started with one portable cleaning unit and the “marketing campaign” of giving away 1 FREE room of carpet cleaning to every new customer. People quickly began to experience the excitement of receiving a high quality carpet cleaning in their homes at a very affordable price. Dale hired his first employee to help manage the demand that rapidly grew, and Evergreen Carpet Care was born! They are Reno residents with all four grown boys, who are still living in Reno. Greatly appreciate your services, and the professionalism of your employees. I will faithfully continue to use your services, and will without hesitation refer your company to all of my friends and associates. We had our carpet cleaned on Friday. The tech who came out was extremely polite and did a wonderful job on our carpets. We have 4 dogs and he was able to remove all the spots they left on the floor. We will definitely use Evergreen again. We found Evergreen Carpet Care to be extremely reliable, efficient and courteous. Their prices seemed fair. Our carpets look great, including removal of pet stains. We would not hesitate to use them again.